Please join Leah Kelley, Associate Director of Admissions at Yale, and Angela Seah, Senior Admissions Counselor at Yale-NUS, to learn more about Yale University and Asia’s first residential liberal arts institution, Yale-NUS College. Academic programs, student life, international opportunities, admissions policies, and tuition and financial aid at each school will be discussed. The University of Melbourne is pleased to invite prospective international students and parents to participate in an exciting online event to learn more about the University and its courses. The Virtual Fair will give prospective international students and parents from across the globe an opportunity to learn about the University and ask questions of staff and students in a unique online environment. All you need is a computer with an internet connection. Once registered, log on to the Fair on April 23 or 24 and find out more about the Melbourne Experience. 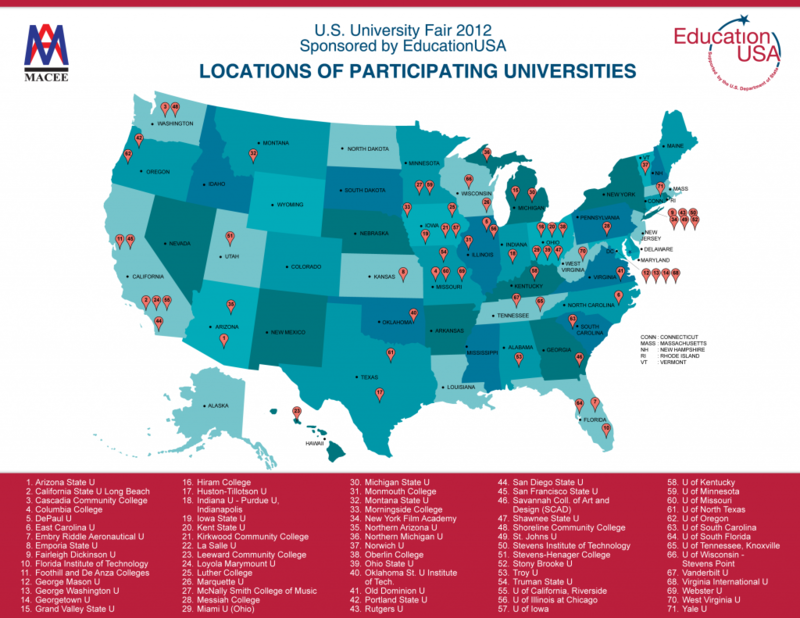 We would like to draw your attention to the upcoming US Colleges Fairs in KL and Penang. The KL fair will be held at Crowne Plaza on Saturday March 31st from 1.00-4.30pm with 71 institutions represented. The Penang affair will be a decidely smaller affair with around 15 universities but still worthwhile – being held at the E&O on Tuesday April 3rd 6.00-9.30pm. Durham, Exeter, Queen Mary and York Universities have joined the Russell Group which represents leading UK universities committed to maintaining the very best research, an outstanding teaching and learning experience and unrivalled links with business and the public sector. There are now 24 members of the Russell Group. Careers4u.tv is an independent careers library featuring interviews with young employees, apprentices and entrepreneurs who have been filmed in the workplace so that students can see what their working lives are really like. The five minute clips are for independent careers exploration. Studies in Australia is proud to announce the release of the Studies in Australia magazine for iPad, available on the App Store. As a past purchaser of the Studies in Australia Guide you’ll understand the usefulness of this resource, likewise you’ll appreciate the Studies in Australia e-book with up-to-date information and interactive features at your fingertips. The eBook also includes essential information on key topics such as distance education, scholarships and grants, accommodation, visas and support services. ‘Studies in Australia’ is FREE and you can begin today. Download the ‘Studies in Australia’ eBook now!